Blades made from hardened and tempered S2 steel. Magnetic tips. Triple injected soft-grip handles. Tip icon on the handle end. 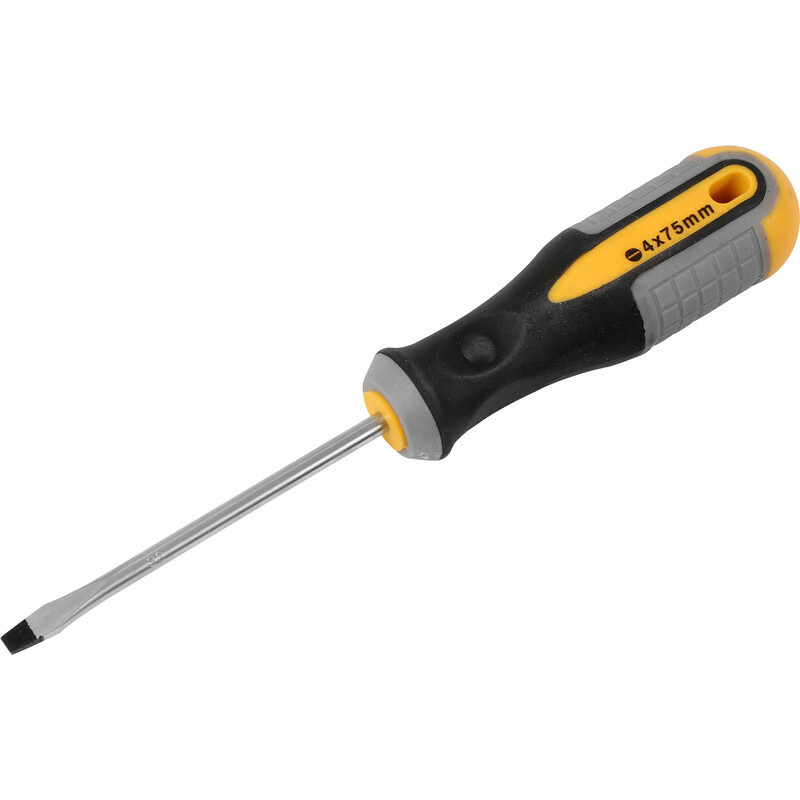 Roughneck Screwdriver Slotted 4 x 75mm is rated 4.0 out of 5 by 2. Rated 3 out of 5 by Dax24 from A bit disappointed Expected a much smaller Philips head as per the single photo, this was for a massive head, one I’d never seen before. Well made but poor representation so I wouldn’t buy again without actually seeing it-my fault. Rated 5 out of 5 by cs759 from Screwdriver Needed a screwdriver for my guitar. it's a quality screwdriver, reasonable price, very prompt delivery.